Takeaway from the 2019 Cloud4Wi Corporate Kickoff: The customer is the boss! 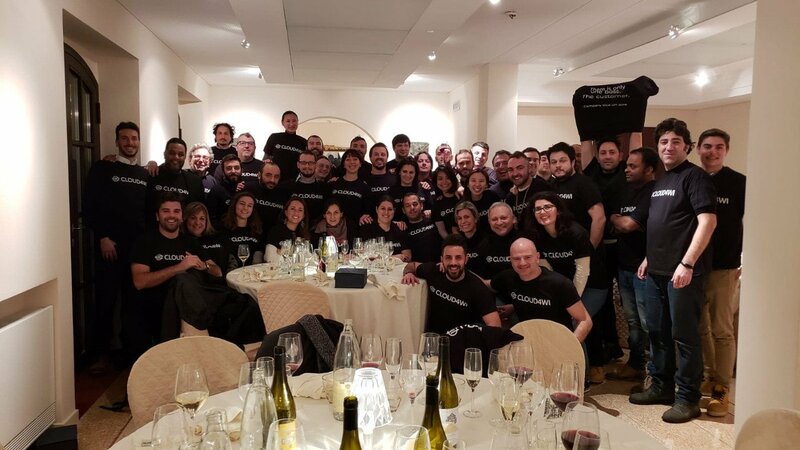 We just got back from the 2019 Cloud4Wi Corporate Meeting Kickoff, a 3-day event that brought together all our employees — from San Francisco to Bangkok — in Pisa, Italy. 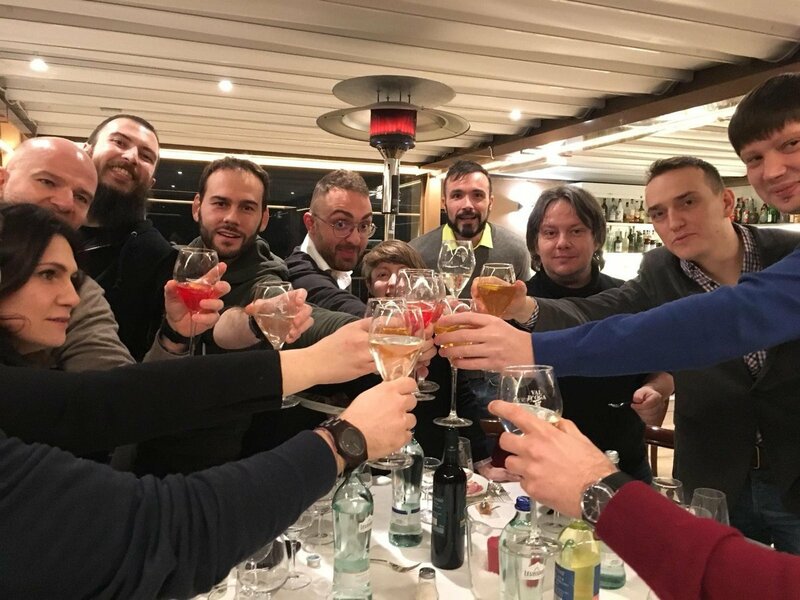 The event gave the Cloud4Wi team the opportunity to review last year’s highlights, strategize for 2019, and ensure that we achieve our long-term, 10-year vision. The first day opened with an inspiring video of Alibaba founder Jack Ma who talked about the never-ending marathon of a startup, the kind of lungs they have to nurture to never give up, and how they learn from mistakes and remain consistent despite numerous refusals and failures. 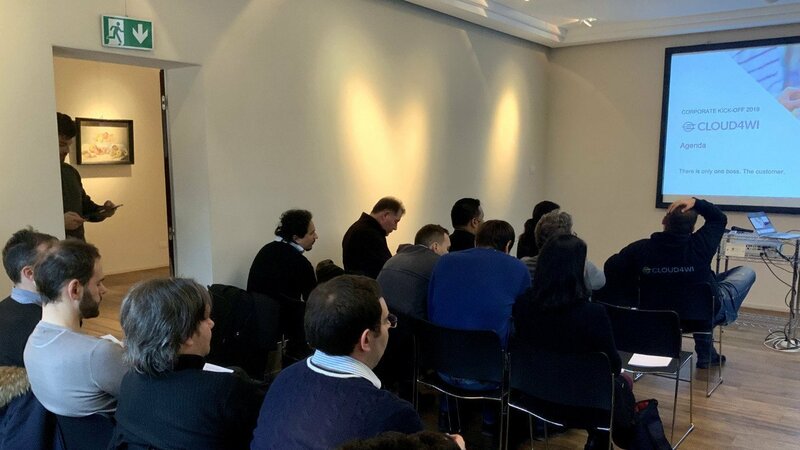 Our Chief Evangelist, Mauro Aprile Zanetti moderated the meeting kickoff and opened a dedicated Q&A with our CEO, Andrea Calcagno. 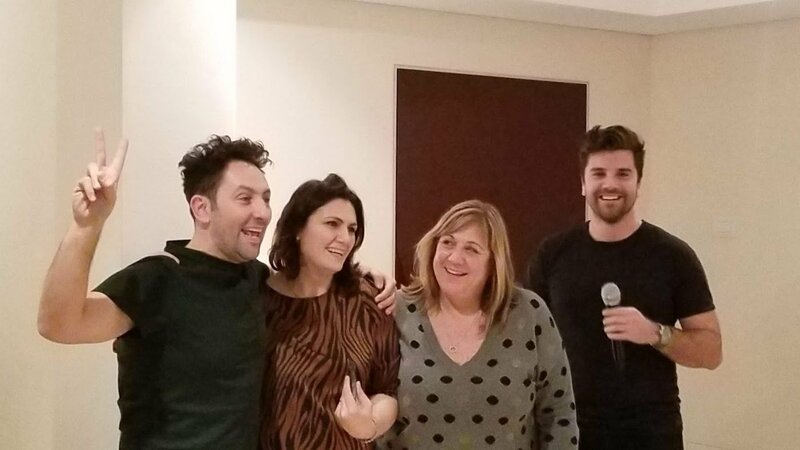 Andrea started off by flashing back to the long and tumultuous path leading up to today: From starting up in Pisa to scaling to San Francisco and then expanding from Silicon Valley to the rest of the world with over 120 countries served. 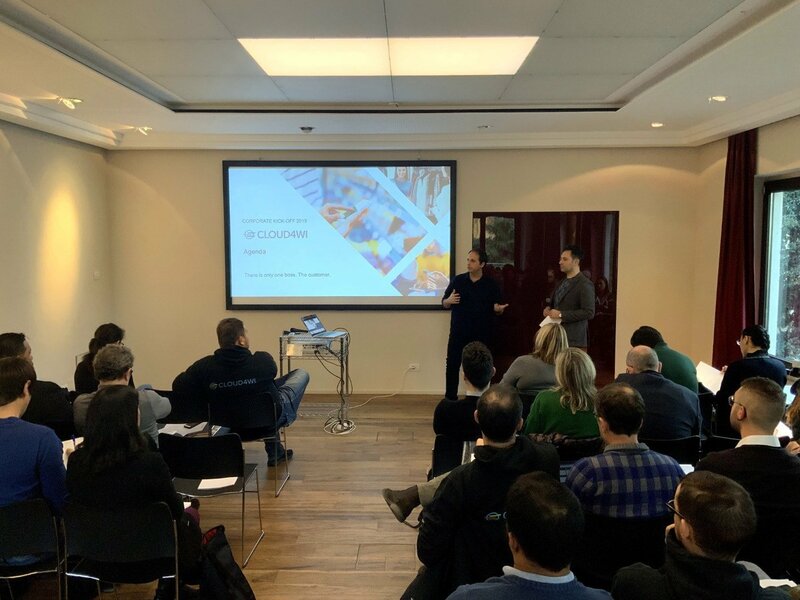 Then, Andrea shared Cloud4Wi’s 10-year vision with the team: to become a customer-centric company, going beyond the too narrow definition of a B2B, B2C, or even B2B2C model, and embracing the human-to-human (H2H) for collaboration economy model, where data drive the company’s internal and external decisions. Bridge offline and online worlds to deliver better customer experiences. 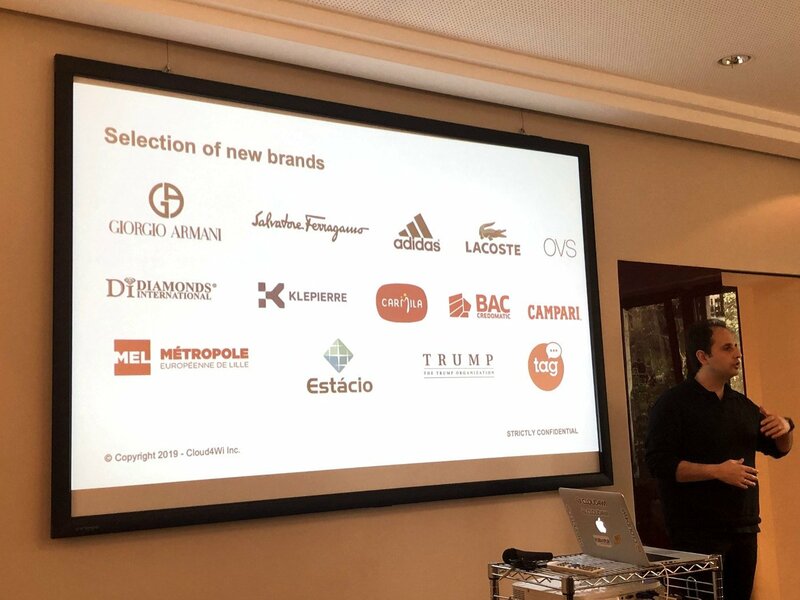 New customers acquired: Adidas, Armani Group, BAC Credomatic, Campari Group, Carmila, Diamonds International, Universidade Estácio de Sá, Lacoste, Luisa Spagnoli, MEL, Klepierre, OVS, Talent Garden, and Trump Organization. Listed among Top Retail Tech Startups 2018 by Retail CIO Outlook. The second day was dedicated to empowering the company to execute different initiatives more effectively. 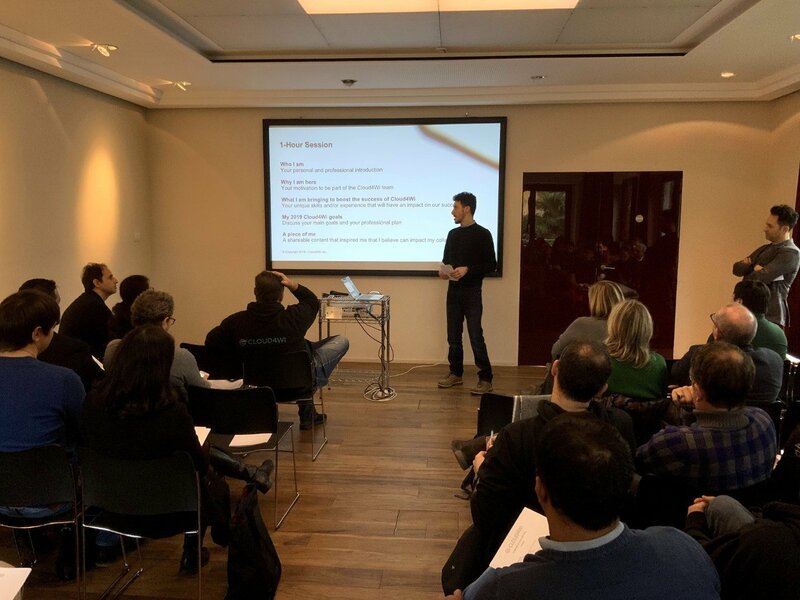 Our VP Product, Ivan Muccini, shared the 2019 commercial roadmap, explaining in detail some of the new cutting-edge features which are scheduled to be released in the next 4 quarters of 2019, to reinforce the adoption of our customer success approach. 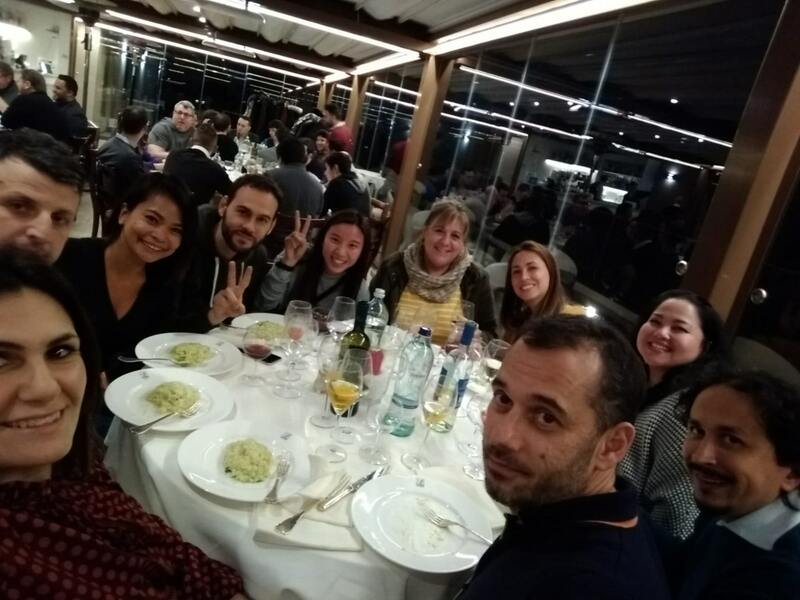 Then, the Sales Team shared some of the latest customer win stories — such as Adidas, Armani, BAC Credomatic, Campari, Diamonds International, MEL, TAG and Universidade Estácio de Sá —including the strategy behind them as well as any mistakes that we could learn from. We had also a special guest during our second day: Massimo Pettiti, a professor at the Nuova Accademia di Belle Arti (NABA) in Milan, who focused his presentation on “Design Thinking”. He also discussed some of the results achieved at the open innovation program launched by Cloud4Wi and the NABA. During the third day, a series of one-to-one meetings and dedicated roundtables per division took place. Mauro concluded with an educational presentation titled “Made in Italy – A Powerful Global Brand”, which dug into the multidisciplinary Renaissance DNA to invite the team to become more and more ‘flexible mind’ in the legacy of Leonardo da Vinci. By the way… it wasn’t just about work! It wasn’t all about work, though. 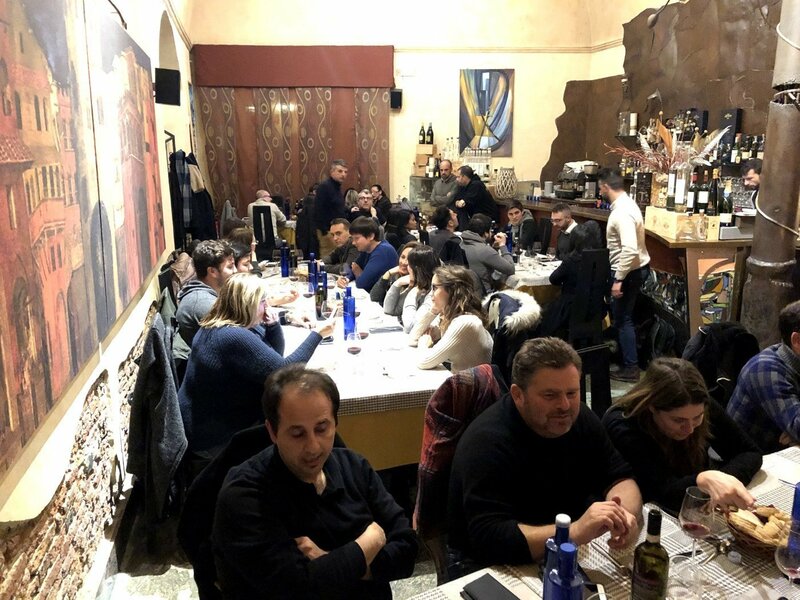 Being in Pisa (Tuscany), we also had a lot of fun with some delicious food and wine, according to the unparalleled Italian way of life. 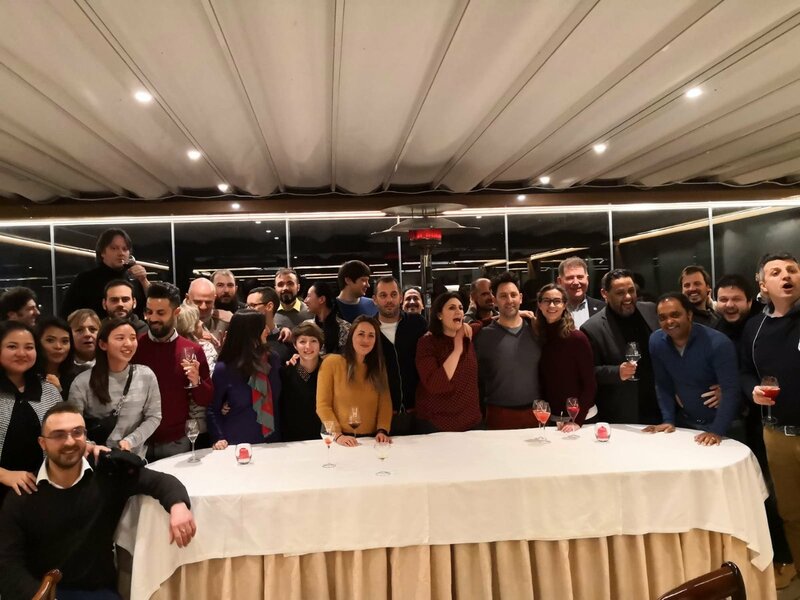 During our last Italian dinner together, we recognized the most notable employees who have been crucial to the growth of Cloud4Wi in 2018, thanks to their commitment, enthusiasm, and perseverance.